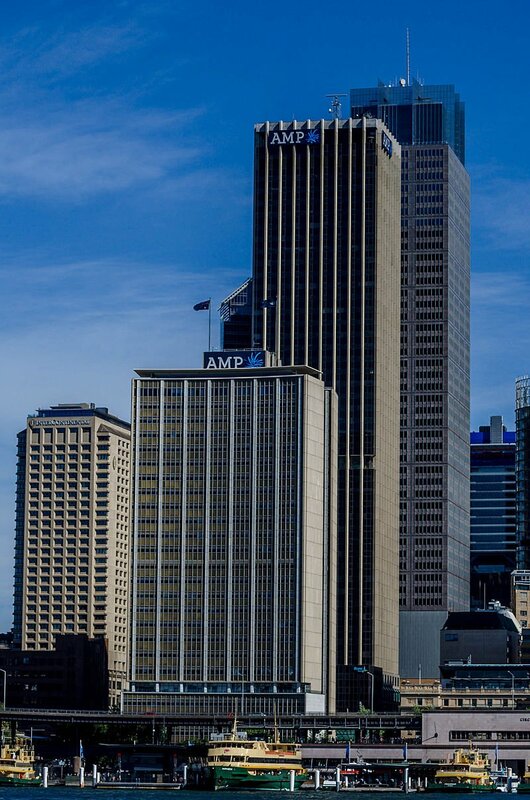 Statement of significance: The AMP Building adjacent to Circular Quay is a 25 storey tower of Post war International Style. The building is historically significant as the first building to officially break the 1912 Sydney height of Buildings Limit of 150 feet and thus become the tallest building in Australia, at the time of its construction. It is both historically and socially significant for its powerful ability to exemplify the dominant role of the AMP Society in the Australian insurance industry. The building is socially significant for its ability to reflect through its location and form , the considerable public controversy created by its construction of a massive curved facade on such a prominent site so close to Circular Quay. The building is aesthetically significant as an important work by a significant firm of architects Peddle Thorp and Walker and as a landmark site at Circular Quay which with Goldfield House defines the 1960’s Gateway to the city. The building is aesthetically significant as the first fully free standing skyscraper in the city of Sydney which set a precedent keeping its tower free of the podium High Significance:The intact fabric of the North, East, South and West facades to the building. The intact fabric of the ground floor lobby and upper lift lobbies. Medium Significance:Remaining intact interior fabric. Low Significance:The shopping mall. All remaining interiors.